Superior product...by far the best I have ever tasted. I'm a customer for life!!! Tonight, I had the pleasure of trying the Guava Fruit Spread. I found it on sale in the local grocery store and decided to try it. It was absolutely perfect. Smooth and spreadable — exactly what I wanted. I didn't tear up my toast trying to spread it. I don't think I've ever written a letter to the manufacturer of a food, but you deserve it. Thanks for the great product. I bought your Guava Fruit Spread from Ralph's in LA. I work for a major bread manufacturer in Los Angeles, do you service the food service industry? I love your Guava Fruit Spread, it is the only preserve I will eat from now on. I have tried other jams and preserves, and they do not work for me. I am diabetic and Margie's is the only sweet I can have during the course of a day. Margie's does not have the tangy aftertaste that I experience with other preserves. I love your Margie's Mango and Guava Fruit Spreads. Do you sell it to individuals by the case? I am a professor at the University of Illinois. I bought your products at Jewel. Thank you very much for producing such a wonderful product. It reminds me of when I was a kid in India eating my mother's homemade guava jam. My husband is a Diabetic and was disappointed he could not eat jelly any longer.My boss gave me some of the jams and my husband was very happy.He said it was the best he ever tasted.Great product. Ever since finding your guava, mango and other spreads and syrups in Ralphs supermarkets here in San Diego, our family are happy campers, indeed! 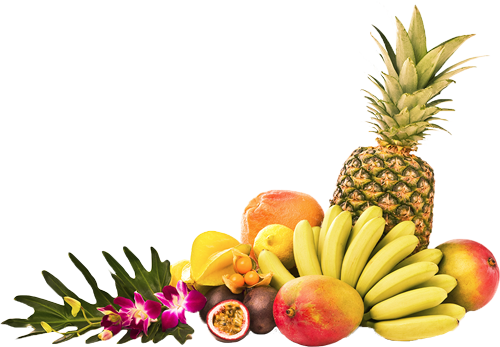 Now that just about everyone on the planet has gone to Hawaii and longs to bring some of the goodness home, you have outdone yourselves in making that reality possible with ease! Thank you for your excellence and if you ever stop making the guava jam, let me know so I can buy my life's supply before it's gone!! !